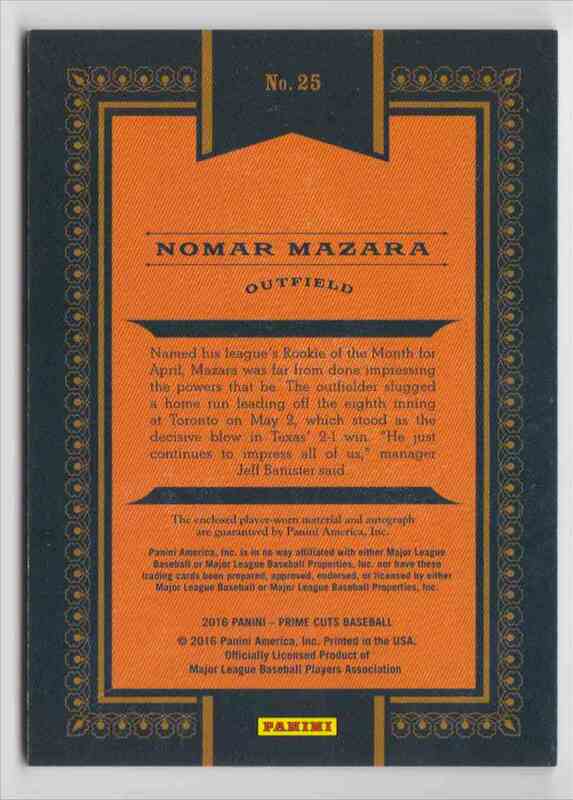 This is a rookie autographed Baseball trading card of Nomar Mazara, Texas Rangers. It comes from the 2016 Panini Prime Cuts set, card number 25, embedded Dual Jersey, serial numbered 44/99. It is for sale at a price of $ 30.00.